Santa Cruz, accessible by boat only, is one of the several villages in which Ayuda offers services. Thank You to our good friends at Best Friends Animal Society for your award of a generous equipment grant. This donation will significantly support Ayuda’s current commitments as well as efforts to expand our animal welfare services to additional villages on Lake Atitlan. 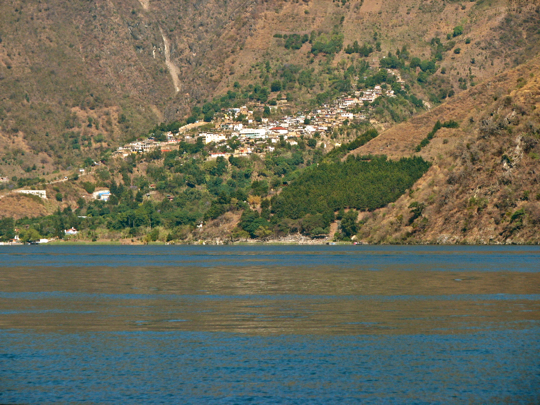 Boat taxi service is the main transportation route between most of the lake’s villages and Ayuda headquarters. Holding routine sterilization clinics in these remote villages has often presented difficulties and added expenses to transport clinic equipment back and forth to Panajachel. Through this grant, Ayuda will purchase essential clinic equipment which can be securely stored in the villages in between their routine mini clinics. This arrangement will greatly capitalize on clinics’ set up and start up times, as well as save expenses for private boat transports, porters, taxi/truck services, etc.